Sony has spoken of its great confidence in the PS Vita, describing it as "the best PlayStation ever" and reckoning it will last up to eight years. 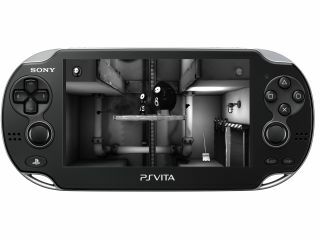 Shuhei Yoshida, Sony's head of worldwide game development, explained to Kotaku that the Vita is no flash in the pan. "We are designing this PS Vita to last five, six, seven, eight years. As a foundation we are very confident that what we have been able to realise is the best PlayStation ever, I dare to say," he said. The PS Vita, which gets its UK release next week, faces stiff competition from the world of smartphones, but Yoshida doesn't think this will make much difference to the handheld console. "People have the final vote with their money. We are testing that theory. And we are very, very confident that what we have with PS Vita is an experience you cannot get anywhere else. "We are pouring our hearts and minds and money and effort to create contents and we have a good line-up of games that we begin with the launch." Want to know what we think of the slinky new handheld? Check out our in-depth PS Vita review now.